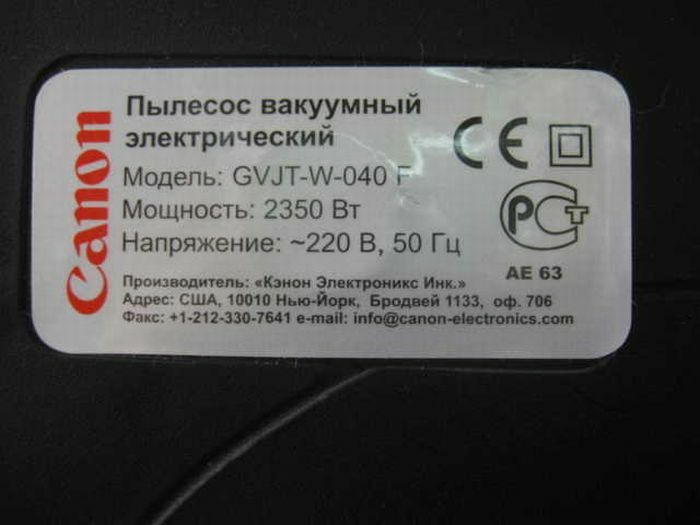 Recently Russian service centers of Canon have started receiving complains from the people having the troubles with their Canon… vacuum cleaners. 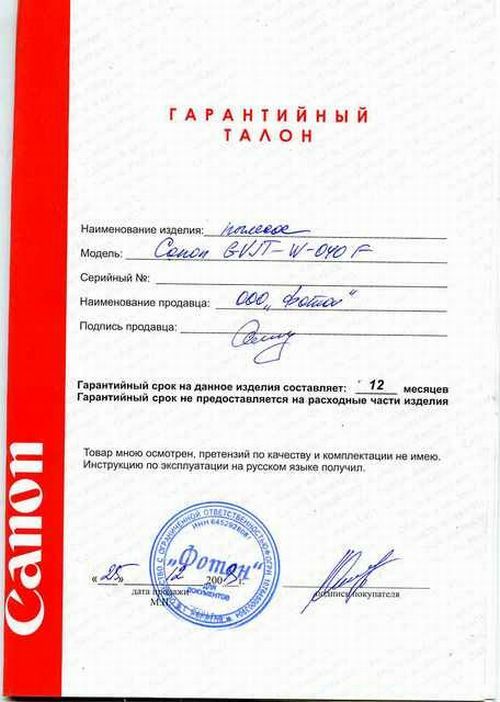 It seems that one large electronics supplier in Russia has bought somewhere what they truely believed to be Canon Vacuum Cleaners, and even advertised them. So many bought intrigued by the brand name and overall feeling to get something cool from Canon. 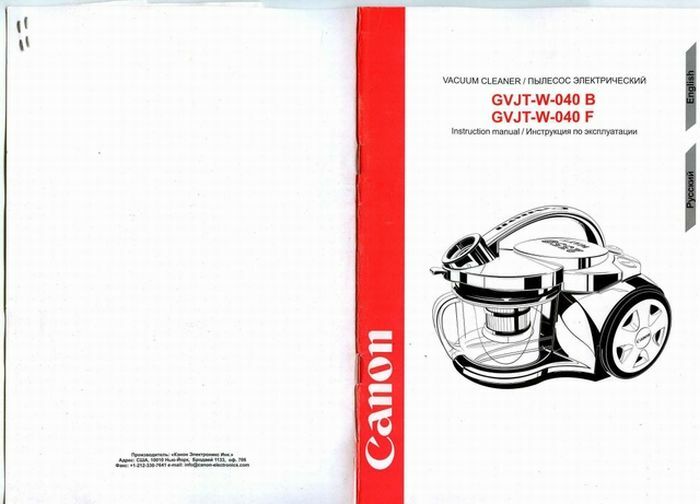 Now it seems it was a nice planned action to sell thousands of some third party, probably Chinese vacuum cleaners labeled as “Canon”, having the manual and boxes looking like actual Canon stuff. Today is an important day! Your marks for this post are 8/10! Fireworks and parties to follow! Posting a factually correct coment = 8 marks. The only reason I haven’t given you ten is because you have let your personal views cloud your work. It would have been 10/10 if you had stopped yourself from adding Chinks (minus one for racism) and “ba ha ha :(” (minus one for being a bit nasty). On the whole though, I am very pleased. Zero to 8 marks in three lessons! Hey Scot,read the comments on the russian banya page and about 8 pages after that.It is not far from this page.You are wasting your time with this so called Miss India! Education of the ignorant is never an easy task, I fear. But would Archimedes or Da Vinci given up a wayward pupil? Do you know someone in London who is doing Russian Steam Bath Besom? almost everything on market – FAKED – from[dangerous 4 health]food to cars. Chineses = Capatalist Communists. They more evil than American capitalist if that even is possible. They kill they own babies to make 3 rouble. The laws and inspections that keep these things out of the US don’t do anything for Russia. It seems that the Asians are dumping whatever they can’t sell to the US to Russia – like that sick pig joke of a toy a while back. Hey Scot,read the comments on the russian banya page and about 8 pages after that.It is not far from this page.You are wasting your time with this so called Miss India. MaxD, I’m sure you believe the Commies are gods, and Medvedev AKA Putin’s puppy is a devil? Your comments aren’t lies entirely, but they aren’t truth either (you invent bS, for example). 1.YESS! Once again you show your brilliance, by not making any concrete facts! You simply say this and that, and compare different products with each other. You proved nothing mate. 3.Provide the price of THE SAME vacuum cleaner in Holland, Britain, and Russia. Then talk. 4. Russia exports only resources? WTF? Russia may not have a strong light industry (but it is evolving, especially in IT & computer area), but Russia exports MANY heavy industrial products, like tanks, Commercial aircraft, tractors (and the like) etc. блин…писал-писал, а сообщение не отправилось и не сохранилось 🙂 вообщем блог понравился. админу удачи в развитии. Cracking stuff, keep up the good work, interesting read. 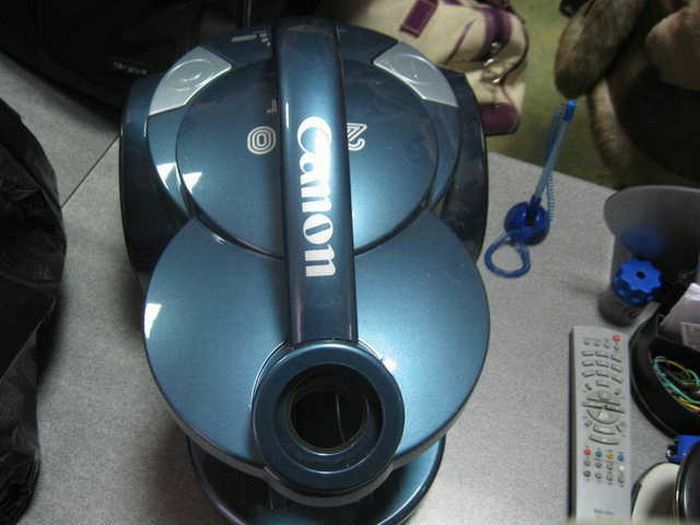 Canon brand is a more expensive one. I believe it is a japanese own. Why don’t you try an american one. The brand is hoover which is the brand that only do best on vacuum cleaner not doing everything like canon. Just IMHO. I agree! Japan is a very expensive place. I don’t even undestand how these people make ends meet! Thank for the nice information, it is really a nice article. Thank for sharing the article to other members of the blogs.